Some funky stuff is going on in the status bar. 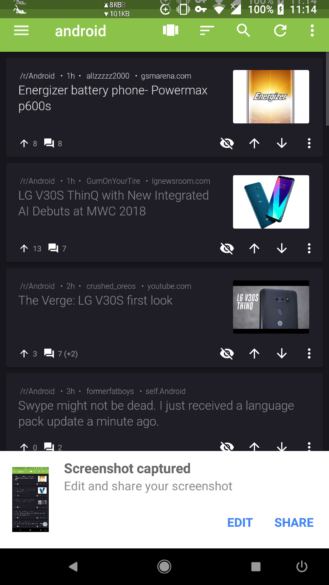 First spotted by /u/armando_rod on reddit, the 'edit and share' popup is now working in apps other than the Google app for a few. 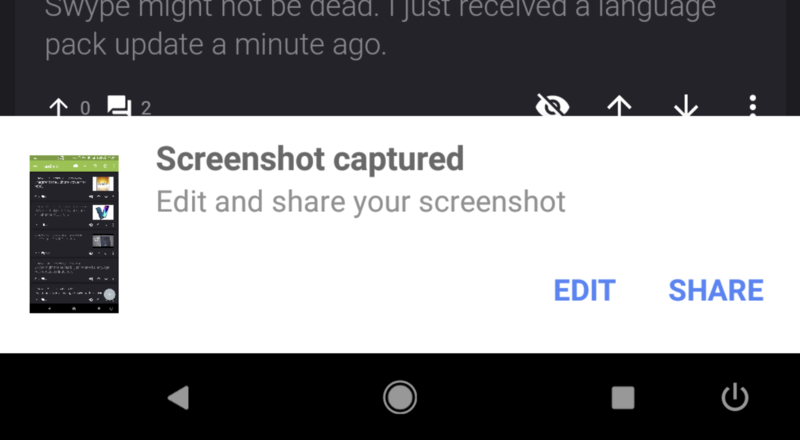 He first discovered this when he took a screenshot in WhatsApp, then confirmed it was system-wide with Slide for Reddit. There's at least one more person who is seeing the same behavior, though it's still only working in the Google app on my Pixel 2 XL. Let us know if the popup is showing up for those of you who've enrolled in the Google app beta and turned this option on. If you haven't yet done so, head into your Google app's settings, then 'Accounts & privacy,' then toggle 'Edit and share screenshots' on.